Is It Really That Dangerous to Text While Stopped at a Red Light? As our lives become more and more digitally connected, we’ve been warned time and time again that it’s dangerous to drive while looking at a phone screen. Taking your eyes off the road to check for directions or send a text while the car is in motion is reckless and can result in serious harm to yourself and other nearby drivers. But what if the car isn’t in motion? 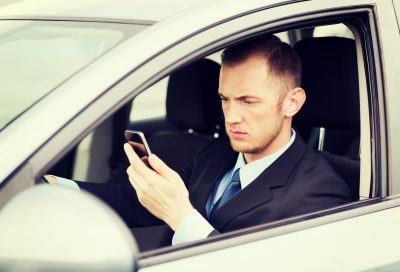 Is there any harm in sending a text or checking your messages while sitting at a red traffic light, waiting for the light to change? True, your car is not–or rather, should not–be in motion when you’re stopped at a red traffic signal. So this seems like the opportune time to check your email or send that text message you’ve been meaning to. About half of smartphone users admit to texting at red lights, probably because it doesn’t feel dangerous to do so. The problem is that many people do not–in all honesty–rely on the light turning green to alert them that it’s time to move at a traffic light; they rely on the movement of the cars around and in front of them. That’s why if one car inches forward while stopped at a red light, so will most of the cars around it. And that’s not always a conscious action–for most of us, that quick response has become instinct and can get us in serious trouble if we’re not fully aware of our surroundings. What if there’s someone who’s crossing the street in front of you, or the car in front of you doesn’t move right away when the light turns green? 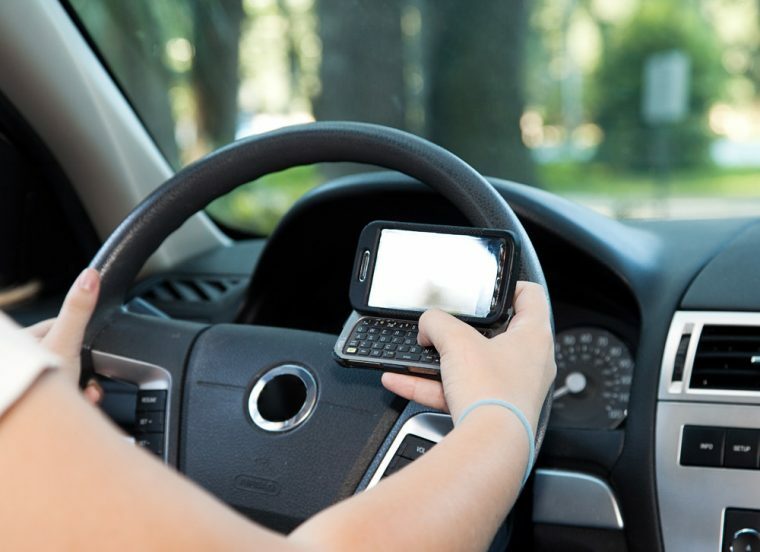 In most states where texting while driving is illegal, the law only applies to the car while it’s in motion. So while the legality of texting while stopped varies depending on the state, police and safety administrations still see it as a dangerous habit. According to studies referenced by the Canadian Automobile Association (CAA), our minds stay distracted for nearly half-a-minute after we stop interacting with our phones, as our mind still focuses on and processes what we saw/sent. So while it may seem harmless to check your phone and send a text while your car is idling, this is a habit we all need to work on ending this year.